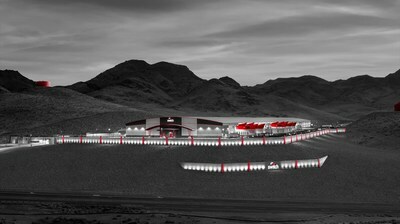 LAS VEGAS, Jan. 30, 2019 /PRNewswire/ — Switch (NYSE: SWCH), the global technology infrastructure corporation that develops hyperscale data center ecosystems for elite colocation, enterprise hybrid cloud and connectivity solutions, today announced that Switch data centers have been selected as a preferred, AI-ready provider for the NVIDIA DGX-Ready Data Center program. The program offers a qualified network of AI-ready data center solutions for NVIDIA customers running GPU-accelerated products, NVIDIA DGX-1 and DGX-2. Read more about the NVIDIADGX–Ready Data Center program.